The weight of an element like tin or lead is a matter both of its atomic weight — how much an individual atom of the element weighs — and of its density. The denser the substance, the more mass it contains per unit volume, and the heavier a given chunk of it will be. Lead has atomic number 82, meaning its nucleus contains 82 protons, and when neutral (not ionized) it has 82 electrons. Electrons make a negligible contribution to the mass of the atom and can be disregarded where atomic weight is concerned. 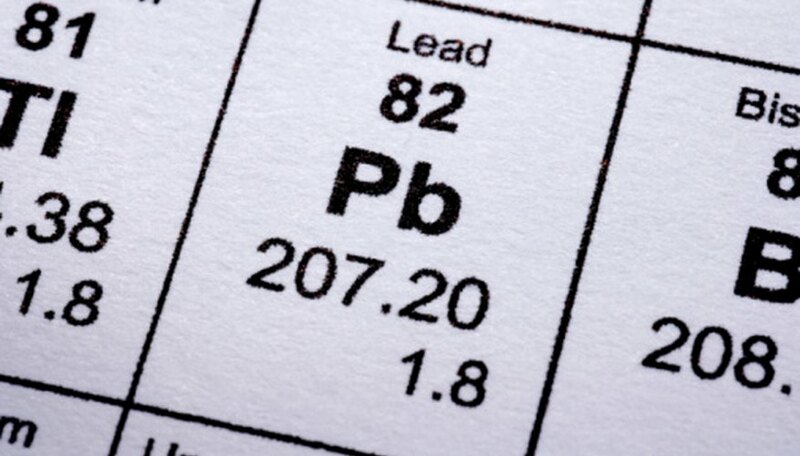 Different isotopes of lead have different numbers of neutrons, so the atomic weight you see listed on the periodic table is actually a weighted average: 207.2 atomic mass units (amu). Tin, by contrast, has atomic number 50 and therefore only 50 protons/electrons. Its atomic weight is 118.710 amu. An atom of lead weighs more than an atom of tin, but in real life, you'll never encounter a situation where you can isolate a single atom of either element. When chemists want to know how many atoms are present, they use the molar mass, the mass corresponding to 6.022 x 10^23 atoms of that element. The molar mass is just the atomic mass but with units of grams / mole rather than amu. Tin, therefore, has a molar mass of 118.710 grams per mole and lead has a molar mass of 207.2 grams per mole. Once again, a mole of lead weighs much more than a mole of tin. If you have two equally sized objects made of lead and tin, the difference in weight between these objects is determined by density. Here again, lead has the lead. At room temperature, the density of lead is 11.342 grams per cubic centimeter, while the density of tin is 7.287 grams per cubic centimeter. 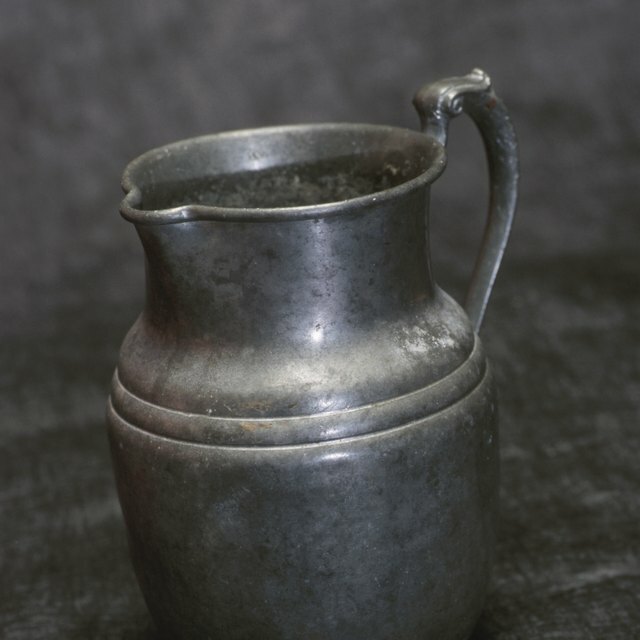 An object made of lead, therefore, weighs much more than the same object made of tin. A compound made from lead does not necessarily weigh more than a compound made from tin, however; the weight of each depends on the type of compound and the other atoms it contains. Tin (II) iodide, for example, has a greater molar mass than lead dioxide. Solid objects made from lead and tin both sink in water because the density of both lead and tin at room temperature is much greater than that of water (1 gram per cubic centimeter). Brennan, John. "Tin Vs. Lead Weight." Sciencing, https://sciencing.com/tin-vs-lead-weight-8340786.html. 24 April 2017.